Worship is the feeling (or the expression of that feeling) of reverence and adoration. Worship is very important for Christians. It is a time when we express our reverence and adoration of God together as a community. It is a time to reflect on our lives and to work together to build a greater understanding of God, the world, and our place in it. 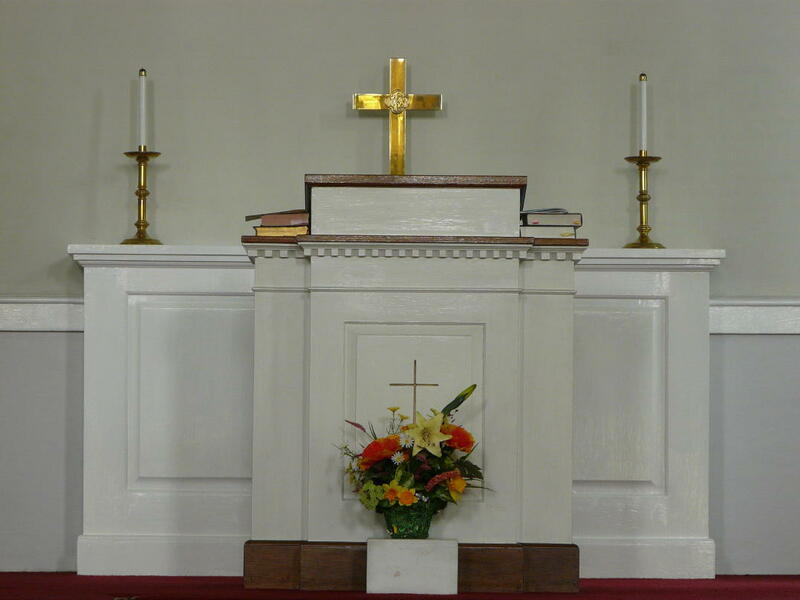 Worship services at the Congregational Church Easton run from 10:00 am to 11:00 am every Sunday morning. Reverend Amanda leads us on a spiritual path through prayer, song, and relatable sermons. We welcome all people and families of all kinds to join us for worship. We have a space in the back of church with activities to occupy the minds of children, and a children’s sermon. We are open to new ideas and welcome any and all suggestions. We only ask for one hour of your time to join in community with us to seek faith, fellowship and service in the name of God. If this is your first time joining us, check out our “Find Us” and “First Time Visitor” pages. We hold Communion on the first Sunday of every month. Communion is a time when we all come together in observance of the Last Supper. It is a time to observe the death of Christ and the new covenant with humanity that came out of that act. In the Congregationalist tradition, we welcome all peoples to the table. You do not have to be a member or have made first communion. There is a place at this table for all people. We remember how Jesus welcomed all when he said, “Come to me, all you that are weary and are carrying heavy burdens, and I will give you rest, for I am gentle and humble in heart, and you will find rest for your souls” (Matthew 11: 28, 29). The elements of the bread and wine are symbols of the body and blood of Christ that offers healing, wholeness, and new beginnings. We hold communion once a month, on the first Sunday of the month. Our deacons bring the elements around to all people to partake. We then wait for all to be served to partake together. So please join us on the first Sunday of the month at 10:00AM for communion. If you’d like to get a feel for what a worship service includes, check out past sermons delivered by Reverend Amanda here.